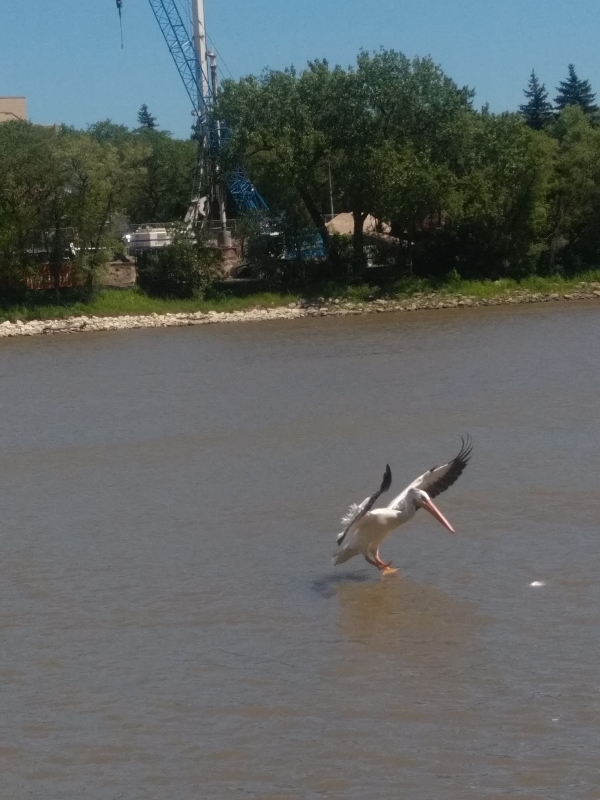 Days six and seven had us driving from West Hawk Lake Campground to Winnipeg, Manitoba then Shady Oaks RV Resort and Campground just off of highway one. 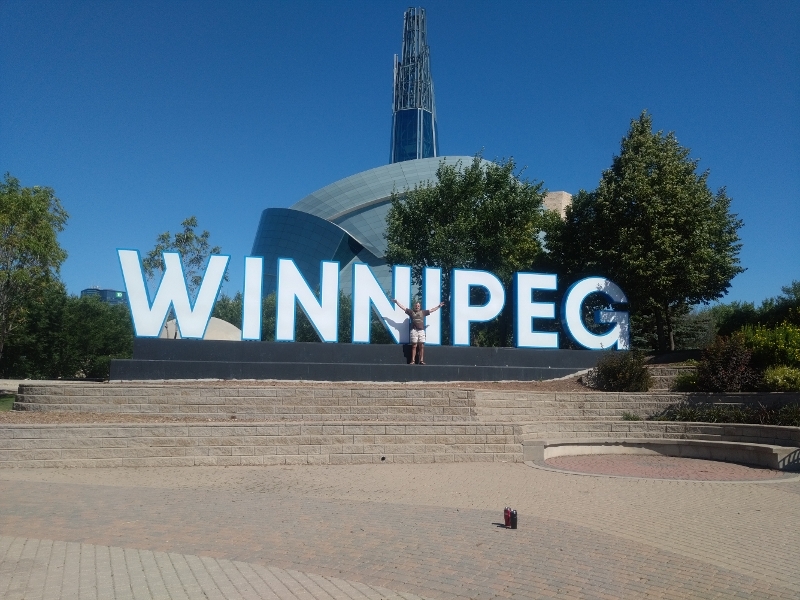 Winnipeg was our only city destination, our son, who had visited the city a year ago, recommended we make a stop at the Canadian Museum for Human Rights. We spent the first half of the day exploring each floor of the museum. The architecture is modern, almost construction like on the inside, with a centre ramp to each floor. 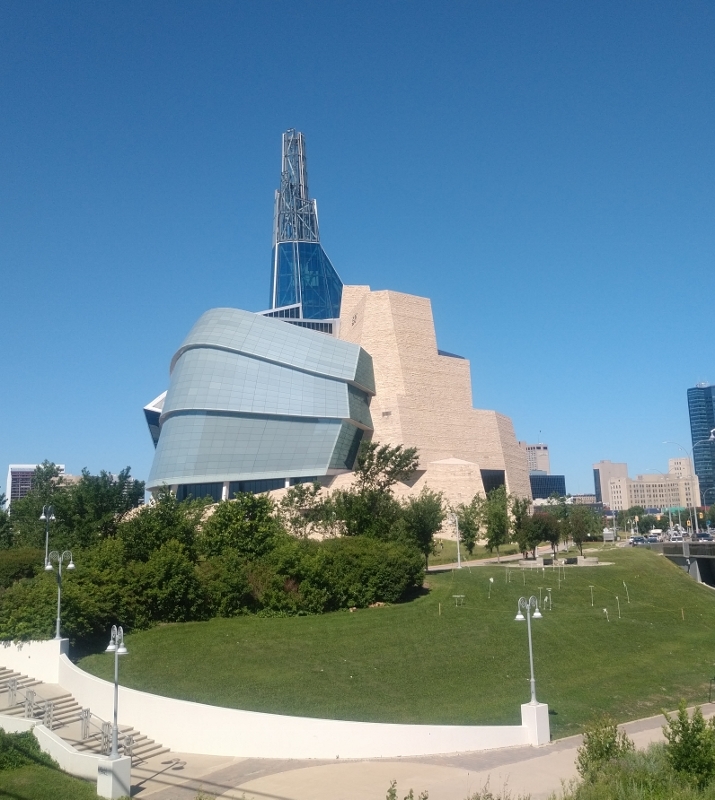 As you ride up the elevator, one side displays the inside of the museum while the other offers views of the Red River and Assiniboine River. Human Rights obviously differ from country to country, but as the sign above states “All human beings are born free and equal in dignity and rights”. Sadly though even in present time, this is not the case for all. 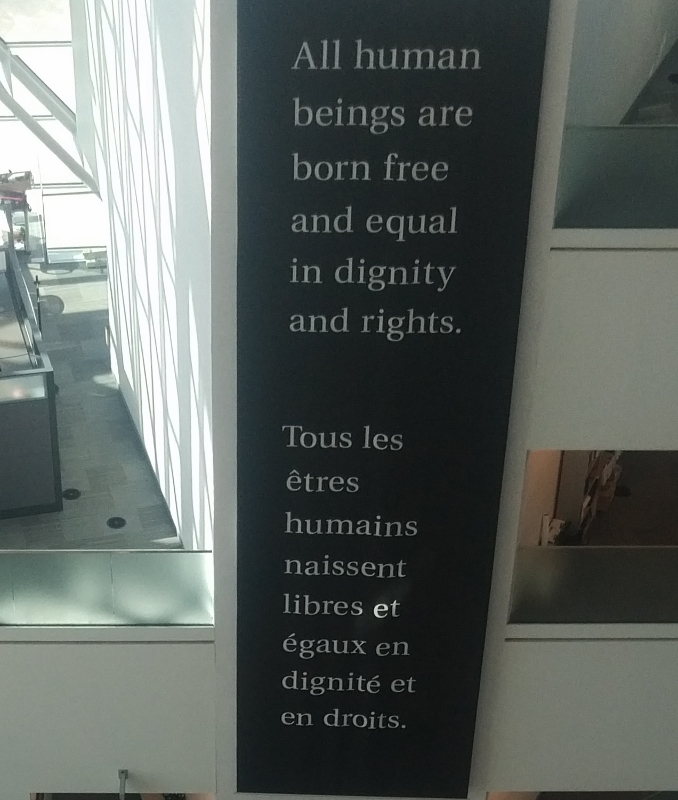 The museum gives you a history of human rights, not just in Canada, but the world. Visitors may find some of the displays quite distressing, yet one should try to remember how far we have come in fighting for rights of others. After the museum, we spent some time exploring the area, walking along the rivers. Earlier in the day, we had asked middle child to find us a hotel near the museum that would not break the bank. Neither Matt nor I are fans of hotels, preferring to sleep in a tent with our fifteen inch air mattress. 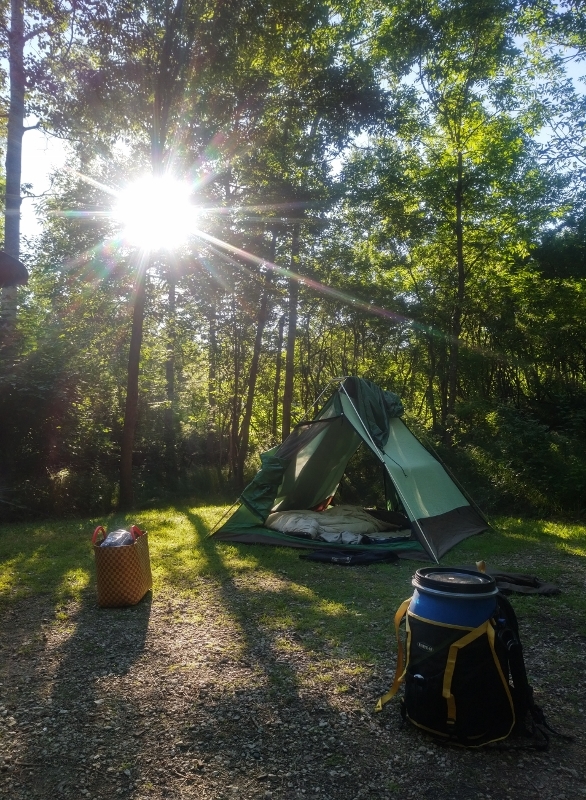 When we arrived at the hotel, there was hesitation in our minds immediately, but both of us were exhausted from the long day, in need of showers, and I wanted to do some of our laundry. I was first to have a shower while Matt brought in more of our belongings, and went for ice to fill our cooler. Terrified of bringing home bed bugs, I continued to inspect the room while Matt had his shower. I then noticed that the box spring of the bed was wrapped in a plastic covering (ripped in the corners) which instantly sent warning signals to my brain. As Matt went to fill the ice bucket again, I scoured the internet for information on which hotels had been noted for critters running around, and not to my surprise this hotel was listed. The minute he returned, both of us spoke simultaneously stating “we’re leaving”. Apparently while he was retrieving ice, an individual horked a wad of phlegm in the stairwell only a few feet in front of him! We still had to wait for our laundry to finish, in the meantime though, Matt put our belongings back in the car. Once it was finished, we went to the front desk to check out, and since we had been in the room for approximately three hours, the woman at the desk stated she would have to charge us $100 dollars and change. At this point Matt and I did not care, we paid the bill, and practically ran to our vehicle across the street where it was parked in a parkade. Parking was not included with the hotel, and naturally the machine decided to have a hissy fit by spitting out our twenty-dollar bill over and over again (I did not want to insert our credit card into the machine, as I was afraid it would eat it). While Matt set off to find someone to pay, I had a view of the front entrance, and watched as Security physically threw out what appeared to be a prostitute, as her friend/pimp held her purse/bag a few feet away from her. Back on highway one, we just drove, having no idea where we were going to stay for the night. The nearby provincial parks were day use only, so we drove and drove. Finally we saw a sign for ‘Shady Oaks RV Resort and Campground’ just past Portage la Prairie. This was mainly a campground for RV’s, but there were a few spots for tents at the very back of the lot, surrounded by trees, giving us some privacy. After setting up our tent, I went on a hunt for drinkable water. As I walked around the campground, I found it quite astonishing the number of RV’s at this place, minutes from the highway, with no beach, just a pool surrounded by high wooden walls and not a tree in sight. The washroom and showers were so old, some of the bolts holding the toilets to the floor were loose, so every time you sat down, you were unsure if it would actually tip over. Overall, the woman who ran the place was very nice, and the night only cost us $20. Next Buffalo Pound Provincial Park to meet a blogging friend of mine. This entry was posted in air mattress, Bed Bugs, Bug, Bugs, Canada, Hotel, Manitoba, Winnipeg and tagged Air mattress, Assiniboine River, Bed Bugs, Buffalo Pound Provincial Park, Camp, Camping, Canada, Canadian Museum for Human Rights, Critters, Hotel, Human Rights, Manitoba, Portage la Prairie, Red River, RV, RV Resort, Shady Oaks RV Resort and Campground, The forks, Winnipeg, Winnipeg Manitoba on September 13, 2018 by AlwaysARedhead. Well after months of looking for that perfect piece of land in the country, and not finding anything within an hour commute for my husband, the move is on the back-burner for the time being. Maybe in the fall, if, of course all the painting, fence building, kitchen sink replaced, kitchen counters sanded down and refinished again. Well husband works on his list, I fiddle-faddle in the garden, well, I will be jam making, pie making, canning vegetables, freezing vegetables, and every once in a while I will dust the inside of the house. The other day, hubby swept the side porch of all the twigs and branches Bear loves to chew and tear apart. Then said to me, if I saw a leaf/branch etc. on the porch could I please pick it up? Well didn’t laughter ensue. “Have you seen the inside of the house dear? The 3 inch layer of dust in the living room? If I’m not dusting hun, chances are very slim some leaf will be picked up!” (In my defence, with all the work he is doing inside the house, the dust he creates, well what’s the point right now?). My rhubarb did fabulous this year. I made my first strawberry rhubarb pie, and even though it did make a mess on the bottom of my oven (thank goodness we barbecue all summer, because I don’t see me cleaning at the moment), it tasted fabulous, so fabulous I had to give half of it to my best friend, I couldn’t stop eating pie for breakfast, lunch, then supper. My herbs are growing exceptionally well. I have already dried quite a bit of thyme, and am pretty sure I will not run out of it this winter. Sadly the nasty chipmunk started to eat my rosemary of all things, so out came the chicken wire! The squirrels decided my potatoes were tasty, so I nailed down more chicken wire which stopped them in their tracks. The potatoes are now growing wonderfully and I should have a nice early crop in a few weeks. Most I will leave for the fall, then store for the winter. My elderberry bush we transplanted last year, is growing fine and along came this beautiful Elderberry Longhorn Beetle. Our two mulberry bushes are producing a lot of fruit this year. After trying to gather the berries by using first a pillow case, we decided it was much easier to just lay down tarp and shake the tree. Mulberry jam coming up. I am also growing broccoli, brussel sprouts, beets, lettuce, celery, zucchini, cherry tomatoes, radishes, yellow and green beans, pole beans, snow peas, cucumber, green onions, acorn squash and watermelon. On the other side of the yard are the flower gardens, far too many to add though. We do make sure we have lots of milkweed for the Butterflies. Lastly one of our many flower pots filled with flowers, I thought would good look together. I hope you enjoyed viewing a small portion of our gardens, I certainly enjoy spending my mornings digging in the dirt. This entry was posted in Bake, Baking, Beetle, Bug, Bugs, Elderberry Longhorn Beetle, Flower gardens, Fruit trees, Garden, Gardening, Gardens, Herbs, Mulberry bush, Vegetable garden and tagged acorn squash, banana peppers, Beetle, Beetles, beets, broccoli, brussel sprouts, celery, cherry tomatoes, chives, cucumber, Elderberry Bush, Elderberry Longhorn Beetle, flower pots flowers, Garden, Gardening, green onions, herbs, hot peppers, house renovations lemon balm, lettuce, milkweed, oregano, peppers, pie, pole beans, potatoes, radishes, rhubarb, rosemary, snow peas, strawberries, strawberry, strawberry-rhubarb pie, Thyme watermelon, yellow and green beans, zucchini on June 24, 2016 by AlwaysARedhead. Dogs can be hilarious sometimes, particularly when they are toddlers and still learning about the world. In this video, there is middle child’s dog Bear and a bug, he appears to not know what to do with it? 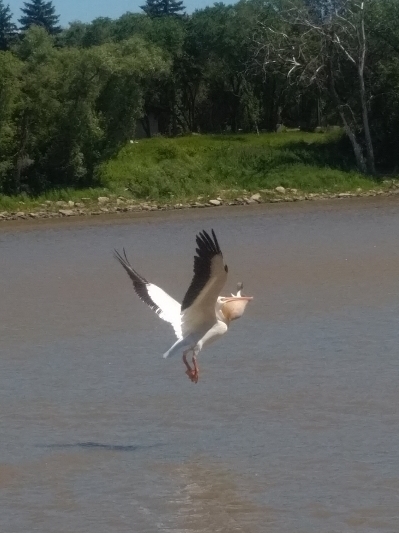 Play with it or try to eat it? What has your dog done that makes you laugh? This entry was posted in animals, Bug, Bugs, Dog, dogs, Humour and tagged nature, Pets, pets, Puppy, Video, Video on January 27, 2013 by AlwaysARedhead.